BRIAN L. STROM, M.D., M.P.H. is the recently appointed Inaugural Chancellor of RutgersBiomedical and Health Sciences (RBHS) and the Executive Vice President for Health Affairs at Rutgers University. RBHS is comprised of nine schools and five centers/institutes, and includes academic, patient care, and research facilities. These are most of the units of the former University of Medicine and Dentistry of New Jersey (UMDNJ), now dissolved, several Rutgers University units with health-related missions, and two research units historically co-managed by Rutgers and UMDNJ. The integration of these entities is designed to create a single organization that will lead to new models for clinical care and community service, educate the next generation of health care providers utilizing health care team approaches, and conduct research. Dr. Strom was formerly the Executive Vice Dean of Institutional Affairs, Founding Chair of the Department of Biostatistics and Epidemiology, Founding Director of the Center for Clinical Epidemiology and Biostatistics, and Founding Director of the Graduate Program in Epidemiology and Biostatistics, all at the Perelman School of Medicine of the University of Pennsylvania (Penn). Dr. Strom earned a B.S. in Molecular Biophysics and Biochemistry from Yale University in 1971, and then an M.D. degree from the Johns Hopkins University School of Medicine in 1975. From 1975-1978 he was an intern and resident in Internal Medicine and from 1978-1980 he was an NIH fellow in Clinical Pharmacology at the University of California, San Francisco. He simultaneously earned an M.P.H. Degree in Epidemiology at the University of California, Berkeley. 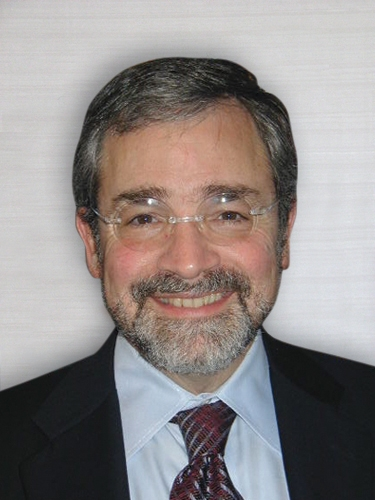 He has been on the faculty of the University of Pennsylvania School of Medicine since 1980. The Center for Clinical Epidemiology and Biostatistics (CCEB) that he created at Penn includes over 550 faculty, research and support staff, and trainees. At the time Dr. Strom stepped down, CCEB research received nearly $49 million/year in extramural support. Its total budget was approximately $67 million. Although Dr. Strom's interests span many areas of clinical epidemiology, his major research interest is in the field of pharmacoepidemiology, i.e., the application of epidemiologic methods to the study of drug use and effects. He is recognized as a founder of this field and for his pioneer work in using large automated databases for research. He is editor of the field's major text (now in its fifth edition) and Editor-in-Chief for Pharmacoepidemiology and Drug Safety, the official journal of the International Society for Pharmacoepidemiology. As one of many specific contributions, his research was pivotal in prompting the American Heart Association and American Dental Association to reverse 50 years of guidelines, and recommend against use of antibiotics to prevent infective endocarditis, instead of recommending for this widespread practice. In addition to writing more than 580 papers, and 14 books, he has been principal investigator for more than 275 grants, including over $115 million in direct costs alone. Dr. Strom has been invited to give more than 400 talks outside his local area, including presentations as the keynote speaker for numerous international meetings. He has been a consultant to NIH, FDA, CDC, USP, AAMC, JCAHO, foreign governments, most major pharmaceutical manufacturers, and many law firms. Dr. Strom is also a nationally recognized leader in clinical research training. At the Perelman School of Medicine, Dr. Strom developed graduate training programs in epidemiology and biostatistics. More than 625 clinicians have been trained or are in training through the largest of these training programs, which leads to a Master of Science in Clinical Epidemiology degree. All but approximately 65 former trainees in this program have appointments in academic or other research institutions. Dr. Strom was PI or Co-PI of 11 different NIH-funded training grants (T32, D43, K12, and K30), each of which supported clinical epidemiology trainees in different specialties and subspecialties, and has been the primary mentor for more than 40 former and current clinical research trainees and numerous junior faculty members. Internationally, Dr. Strom was a key contributor to the conceptualization and planning that led to the development of the International Clinical Epidemiology Network (INCLEN), created in 1979 with support provided by the Rockefeller Foundation to provide clinical research training to clinicians from selected developing country sites. Penn was an INCLEN founding member and one of five training centers. INCLEN Phase I, from 1979 through 1995, resulted in the establishment of 26 clinical epidemiology units in Latin America, India, Africa, and Southeast Asia. The Penn training program alone, led by Dr. Strom, trained 63 INCLEN trainees. Dr. Strom was a member of the Board of Regents of the American College of Physicians, the Board of Directors of the American Society for Clinical Pharmacology and Therapeutics, and the Board of Directors for the American College of Epidemiology, and is currently a member of the Board of Directors for the Association for Patient-Oriented Research. He was previously President of the International Society for Pharmacoepidemiology and the Association for Clinical Research Training. Dr. Strom was on the Drug Utilization Review Committee and the Gerontology Committee of the United States Pharmacopoeia, served on the Drug Safety and Risk Management Advisory Committee for the US Food and Drug Administration, chaired the Institute of Medicine (IOM) Committee to Assess the Safety and Efficacy of the Anthrax Vaccine, chaired the IOM Committee on Smallpox Vaccine Program Implementation, chaired the IOM Committee to Review NIOSH's Traumatic Injury Program, chaired the IOM Committee on the Consequences of Reducing Sodium in the Population, was a member of the IOM Committee to Review the CDC Anthrax Vaccine Safety and Efficacy Research Program, and was a member of the IOM Committee on Standards for Developing Trustworthy Clinical Practice Guidelines. Dr. Strom is a member of the American Epidemiology Society, and is one of a handful of clinical epidemiologists ever elected to the American Society of Clinical Investigation and American Association of Physicians. He has also been an elected member of the IOM of the National Academy of Sciences since 2001. Dr. Strom received the 2003 Rawls-Palmer Progress in Medicine Award from the American Society for Clinical Pharmacology & Therapeutics, the Naomi M. Kanof Clinical Investigator Award of the Society for Investigative Dermatology, the George S. Pepper Professorship of Public Health and Preventive Medicine, and in 2006 he received the Sustained Scientific Excellence Award from the International Society for Pharmacoepidemiology. In addition, Dr. Strom was named the 2008 recipient of the John Phillips Memorial Award for Outstanding Work in Clinical Medicine. This award is from the American College of Physicians (ACP) and is considered to be one of the highest awards in Internal Medicine. Dr. Strom also received the 2013 Association for Clinical and Translational Science/American Federation for Medical Research National Award for Career Achievement and Contribution to Clinical and Translational Science for translation from clinical use into public benefit and policy. Penn awards that Dr. Strom received include the Class of 1992 Class Teaching Award and the Samuel Martin Health Evaluation Sciences Research Award. Dr. Strom received the 2004 Christian R. and Mary F. Lindback Award, the University's most prestigious teaching award, in recognition of the contribution he has made in his career to clinical research teaching. He was appointed to the University Hospital Board of Directors in November 2013.